Will this effect all meetup presentations and videos too? I voiced that I am concerned that meetup organisers will not have been engaged with the original discussion as it was discussed with WordCamps in mind are now being asked to enforce something they didn’t have a chance to partake in the discussion. It was also acknowledged that it is tough for many meetups to find speakers, and this new rule is going to add a level of complexitity to meetup organisers every meetup. From that, it was clarified that this post is to effect only WordCamps, pending further discussion. Yes, waiting to see and discuss for Meetups videos. I’m inclined to make the same rules for meetup videos as for WordCamps, but I don’t want to make a unilateral decision on that without further discussion. While the context for this original discussion was for WordCamps, I do feel the same rules should always apply to both unless there’s a very good reason for them not to. We would need to make sure meetup organisers are involved in that discussion to make it reasonable. Yes Hugh, it’s necessary to have similar rules to keep all out of misunderstanding..
For further clarification, are personal/corporate social media handles in the footer each slide intended to be included in the term “company logo” as used above? Or is the intent truly limited to logos and social media handles are acceptable? Yes – social media handles and written company names (i.e. just the company name in plain text without being classified as a “logo”) both fall under the same conditions as logos here. Personal handles/names are fine to use throughout the slide deck. Thanks for checking! I have updated the handbook pages to reflect this. For extra clarification… what about those of us for whom our personal and business Twitter handle are one and the same? In the case of someone who uses their Twitter handle for both personal and business communications, given the clarification of intent that Hugh published below, I think it’s fine to have that one Twitter handle on every slide. That doesn’t seem to conflict with the intent of this expectation, at least to my “ear”. Actually, @andreamiddleton, I understood the intent the other way around: all slides but the first and the last ones should focus on content solely and, therefore, information about the speaker (like their Twitter handle) or the company they work for are irrelevant and shouldn’t be included. Personal handles/names are fine to use throughout the slide deck. Which makes me think that if a speaker uses one Twitter handle for both their individual and business social media work, then it would be fine to use that one handle throughout the deck. This is a very good point. I only recently started splitting my “work” tweets from personal. If it wasn’t for my politics, it would still be the same one. Hugh, thank you for outlining, documenting, and publishing the new guidelines. Clear communication makes compliance easier for all. +1, the main idea is avoid self marketing, sales pitches and non educational stuff on resources that can be very educative and a valuable asset on WordPress.tv or the youtube channel. When I was an employee, the company had clear guidelines for employees engaged in presentations outside of the company. If you are representing yourself, you are not allowed to mention the company name or display any company logos. However, if you are presenting and using the company name anywhere in your presentation, you must use the company slide template and get prior approval of the company for the content of the presentation. The thing about WordCamps (as mentioned in my comment above) is that speakers are chosen based on their own knowledge and experience, and not as representatives of their employer. So whenever you’re speaking at a WordCamp you are not, in fact, representing your employer. You can, of course, say who you work for as that is a part of introducing yourself, but that is not the intention of speaking at a WordCamp, so it’s better if the slides reflect that fact. Yes, I may be chosen as a speaker because of my own skills and expertise. But I’m first and foremost a representative of the company I work for. Not in the last place because the company is paying for my attendance. I am missing an emoji reaction to comments here 😀 But I agree with this 100%. You are a representative of the company you work for, and there are some guidelines the company sets that you need to meet. We have a specific presentation template that we use whenever we are giving a talk (meetup or a conference). Luckily it’s fully compliant with the above requirements. Maybe “representative” was the wrong word for me to use there, or maybe we have slightly different interpretations of it. Either way, these formalised rules for company names and logos in slide decks don’t stop you from doing that in any way – they simply make it clear that the talk is about the content and not the company behind the speaker. Is there anything you would change about these rules if you could? Just wanted to add my +1 to what Taco is saying here. Since WordCamps don’t pay speakers many of them are funded to attend by their company, which definitely means those people are there as a representative of the company. To me, this isn’t necessarily directly at odds with the newly clarified rules, but it does add another task to the shoulders of the speaker in many cases. I agree that it might be hard for a speaker to tell there employers, that we have these rules and that they still want to paricipate as a speaker. But if we don’t have these rules, it might be even harder to negotiate. A company should not pay an employee, because they can speak at a conference to represent them, they should pay for it, because they see the real value: making connections and learning new things. My agency gives me some budget to spend on travel expenses, but they just ask me to give a presentation to my colleagues about what I have learned. you will speak to any wordcamp voluntarily, if there is a company paying for your talk (they should respect the code of conduct and the event rules), if you are a speaker forced by a company (not aware about the wordcamp rules) there is a serious violation in the proposal. Again on all the event you will have a lot of opportunities to do networking, promote your business and sale stuff, that’s your decision. But this post is about what should be publish on wordpress.tv as official educational resource. The thing about WordCamps (as mentioned in my comment above) is that speakers are chosen based on their own knowledge and experience, and not as representatives of their employer. So whenever you’re speaking at a WordCamp you are not, in fact, representing your employer. I know that’s a different conversation and don’t want to derail this, but it would be great to get some consistency on this point. The community is made by people and companies. I understand that the people are chosen to speak based on their personal knowledge, but at the end of the day, it’s the company paying for the expenses. This kind of excessive ruling will eventually alienate smaller businesses from the WordPress community, leaving space only for the big shots who don’t need exposure because they’re already mistaken as being “WordPress” themselves. I clarified the intention here in my comment above. This isn’t to prevent company exposure, it’s to make sure that talks are all about the content rather than company marketing. All speakers are still welcome to say who they work for, as well as wear a company shirt if they like, which would provide ample visibility of the company branding without hindering the content in any way. We had a public discussion about this with comments open for quite a while: https://make.wordpress.org/community/2018/11/09/discussion-logos-in-wordcamp-videos/ – no one voiced any concerns or issues with these rules. Rather, it was members of the community – many of whom work for smaller companies – who suggested them in the first place. That discussion was about logos on videos, right? The discussion does refer “speaker slides”. Unfortunately I was not aware of that discussion. I will not argue on that. My bad for not having a sponsor for my community work. Perhaps if we reduce regulation and areas of intervention it is easier to follow what’s happening in the community. I am all in favour of clarification, but for me this seems clearly an excess. The good thing is that we’re here now. They do mention the speaker slides on the original post, but you’re right that it’s not on the title. Copyright© 2019 ACME Inc. All Rights Reserved. Does this need to be removes from all the other slides? The tagline you mentioned would need to be removed from all slides, except for the intro/outro explanatory one or title slide if you like. Names like that in a contextual comparison that form part of the talk content are perfectly fine. The intent here is to focus on the content and if that’s a relevant part of the talk content, then it should be included. Thanks, I can live with that. The most important thing here is that this new rule doesn’t hamper the story being told at the talk. Exactly 🙂 The rule here is to make sure the story gets told completely and is the focus of the talk. I agree with @hlashbrooke: the idea is to get rid of anything that’s not relevant to the content being delivered. But we acknowledge the important role companies play in making WordCamps and Meetups possible, so it’s only logical that they still can have the publicity they deserve (in the opening and closing slides). I have to say that this move is clearly a bad move. And it’s going to alienate not only speakers as WordPress event organizers and community members. In addition, there’s a duality of criteria compared to other actions related to WordPress, namely the recent discussions on commercial notifications in the dashboard and, even more recently, in plugin searches. Different criteria on the commercial presence, whether if it’s a specific company or others. On the one hand, someone advocates greater visibility for the benefit of users (which we know is a benefit for the plugin, and therefore for the company that develops and exploits it, no matter which one), on the other hand, a hygienized speakers presence is required in WordPress events. I may even agree that no logos should be added to videos (although I advocate for flexibility), but I am completely against the limitation of logos or company names on slides. Speakers themselves must have complete control over their own presentation, as long as it does not contain ethically reproachable material and is not a commercial pitch. We should have no say on how or why the volunteer speaker chooses to do his or her slides the way they do. We could advise, not limit. I agree content should be the focus. But in the end of the day, if we’re limiting what can be shown in a private and personal work, whatever the reasons are, I see it as censorship. What’s the next step? Will we limit what can be presented, criticism that can not be made, people who can not be chosen as speakers or organizers? Another example of duality of criteria: why do we have a featured plugin section in the Plugins page with the same plugins for years now? Why is it that there’s only one company there? And don’t get me started on conflicts of interest. I understand your point of view, but I disagree: we’re not censoring anyone, as all speakers are still able to publicize who they work for, what they do, who pays the expenses, etc. They can even wear a shirt with their company logo, if they wish so. In my opinion, logos in the opening/closing slides make perfect sense. In the rest of the slides they take precious space that doesn’t contribute to the content being delivered. If you’re saying I can’t use my company slides template to give a talk at a WordCamp, what is that if not censorship? Why can’t we make it a suggestion and not a rule? Censorship is about the content of a talk, not the design. And you can have your logo, just not on every slide. So we are not censoring your affiliation with a company, we just limit it to a reasonable amount. We asked many speakers at WordCamps to remove their logos from slides, explaing them, that we would ohterwise not be able to put them on wordpress.tv and not a single one was not removing them. The content of the slides have not changed at all and the talk was appreciated just as much by the audience. I have so much empathy for this question. Rules restrict, and restrictions are painful. This question was in our “here’s what we suggest/rule of thumb” space for a long time, and has resulted in a lot of inconsistencies between WordCamps AND painful disagreements inside of organizing teams. @alvarogois, please don’t mix up things here. This rules are regarding WordCamp videos. As slides are part of the videos being recorded, those rules apply to slides as well. Every speaker has to sign the “Agreement among WordCamp Organizers, Speakers, Sponsors, and Volunteers“. A speaker is there personal, not as a spokesperson of company. Limiting speakers to speak for themselves is not censoring any person, opinion, topic, etc. It rather makes sure, that the talk is not influences by a companies view. 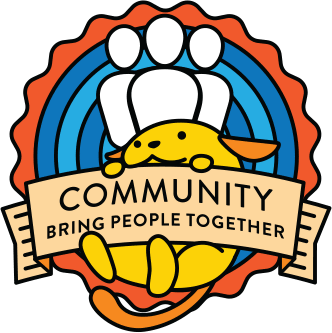 A WordCamp is a community event of people, not of companies. Companies are an important part of the company and it’s amazing that some of them cover the expenses of their employees, attending a WordCamp. But if you as a speaker “have to advertise” a company on stage, that’s really not what we want. I have spoken on many WordCamp and even though I work for an agency that offers services around WordPress and many other open source systems, I was never even “representing the company” I work for in my slides. I am there as a community member only. I would still be fine, if my employer would ask me to mention him or wearing a shirt with the logo, when they pay for my expenses. to the Sponsor or its representatives to speak at a Sponsored WordCamp or meetup. @kau-boy I’m not advocating for people to include company logos in their slides, I’m advocating for people to be able to use whatever they want, as long as it does not contain ethically reproachable material and is not a commercial pitch. In my view, limitating what a person can use in their slides doesn’t make a WordCamp an event of people. It is precisely the opposite. It is these kind of rules that are focusing on the accessory and not on the fundamental, all because of videos that are recorded. And this rules create unnecessary difficulties for organizers, that want the best speakers at their events. Many don’t understand these rules, especially in a voluntary event, not because they want to advertise their company but because they simply don’t believe in these principles. BTW, the part you quoted from the WordCamp Sponsorship Agreement has nothing to do with what I am talking. The part I am mentioning is not specificly about this topic, but it shows the idea behind our guidelines. Being a speaker, you have to agree on all parts of the agreement, not just the Code of Conduct parts (section 3) of it. Section 2 could be more precise, but it explains, that a WordCamp is about the local community and not about the companies sending speakers to represent them. We do want the best speakers, but we want them personally, not as representatives of their companies. Otherwise not the speaker will be recognized and valued, but the company that sent the speaker. But the decision should not be ours, it should be the speaker’s. There are presentations in which speaker, company (which can be himself or herself) and content are inseparable. This makes them unfit for a WordCamp, which is foolish, just for being nitpicky with rules. If the talk is about themselves, that’s fine. If it’s something like a case study, also fine. If it’s about telling the audience, how awesome the company or the products are, that’s not fine. Content matters. If they use a company logo in such a presentation – and therefore violating the rule of just having it on a single slide at the beginning/end – that can also be fine. But having a logo with a decorative purpose only, that is not what we want. This is not making THEM unfit for a WordCamp, just the style of the slides they are using. A organizer can be flexible and approve your talk (ignore central recomendations if is a sales pitch). Just be aware it will not be the same on WordPress.tv channel. It’s great to see so many new participants on this blog — welcome! We value your opinions and participation here, and we’ve found that we can resolve most disagreements over time, when we keep talking. For those who are surprised and disappointed about this decision, I’d love to know — what goals do you see this preventing WordCamp speakers from accomplishing? Liberty. Speakers must have full control over their own presentation, as long as it does not contain ethically reproachable material and is not a commercial pitch. We should have no say on how or why the volunteer speaker chooses to do his or her slides the way they do. We could advise, not limit. This is (or should be) an open community. Moreover, these rules are not in line with other practices which (don’t) limit the visibility of certain commercial entities, thereby creating a competitive imbalance. At many WordCamps, organizers get the complain, that “there are too many speakers from company X”. How does having a company logo on each slide helps with that? By NOT allowing company logos on slides, we create a balance, as there are no “competitive inbalances”, as it’s idividuals giving talks, not companies. We cannot tell speakers on how to do their slides, but we can ask them to keep them free of advertisement, which can include company logos. Will you limit the number of speakers of the same company? Or are you just making it less obvious that they’re all from the same company by not having the logo in their slides? I’m pretty sure it’s healthier to be clear for whom they work. If they want it to. We are not limiting the number. We try to avoid too many speakers from one company, to be more diverse. But the main criteria is the topic, the content of the talk, and the speaker, with all diverse characteristics – the speaker’s company is just one of them. The speakers can also be very clear in who they work for, in their speakers profile on the WordCamp website, in the first/last slide, in the introduction (by themselves or the Emcee). We don’t want to hide, who they work for, not at all. If your not going to limit the number of speakers from the same company, I don’t get your argument. My argument is, that a speaker is not speaking for a company. The company they work for should not matter. The company they speak for – using logos on all slides – should matter. If you see slides on a platform like slideshare with the branding of a company and logos on all slides, would you (without seeing the video to it) consider the slides those of an individual speaker or of a company. Speakers can’t have full control over the slides, that’s why every camp ask for the slides before the event, is mandatory check content and what a wordcamp promote. I’m most happy that these rules now being codified. Actually they applied mostly before that already). I’m sure there still will be edge cases and I’m as much sure that these will be handled properly and responsible within the wp.tv team. 2) I can wear clothes from a company brand, but no, use the same logo on the slides, so the participants will see the slide for 3 seconds and to whom they speak all the time and therefore, the logo will be seen more in the clothes that on the slide, I don´t understand the difference. It seems to me that the problem is not the use of the logo at all, an orator can simply not use his logo at all, and the whole discourse is sales, and the image was never seen anywhere. Thanks for pointing out those inconsistencies, Caribay! I think when we’re trying to make easy-to-understand expectations that can be applied consistently and reliably across a global program, we’re probably going to have to live with a few contradictions here and there, unfortunately. I agree that it would be a problem if a speaker delivered a sales pitch (regardless of logos on slides) instead of the talk that the organizers and the speakers had agreed on. Hopefully organizers know how to deal with that situation as well. If you haven’t already read it, a few people found the original discussion provided good context on the problem that folks are trying to solve here. i think this is good, usually moderating videos we find a lot logos, url on the slides and intros on the videos, this rule help to user to understand what to do. WordCamps and Meetups talks are 100% educative, no product or self promotion. If your talk is good the public will find you. Speakers usually get the link to the .org profile, link to the slides and this is enough to do marketing. If you talk on a camp or a meetup just to find freelance clients, or promote a business, you have the wrong approach to the open source collaborative idea and you should find a different space. If you are submitting something that is directly related to your business, acknowledge the potential for a conflict of interest or for it to turn into a sales pitch, and show us why it won’t. 1) Does the speaker applicant distribute or promote (free or paid) any WordPress themes? 5) Does the speaker applicant distribute or promote (free or paid) any WordPress plugins? 7) Is it stated in the plugin license that the user/purchaser has the following freedoms? Glad to see these rules codified. I participated in the original discussion and thought they were reasonable then as I do know. There are always edge cases, but I still think these are reasonable limitations that don’t trample on any person’s right to mention or even discuss their company in a presentation. Speaking from experience as a WordCamp organizer in the past, the one time we requested all speakers follow this guideline, we had no problem. We had to vet each presentation to make sure people actually followed the rule we clearly communicated ahead of time, but everyone happily complied and the slidedecks were definitely more content focused as a result. I’ve wrangler speakers for two different WordCamps in the last couple years and I worry about imposing too much on the speakers and losing quality speakers. I spend at least 10 hours getting ready for a talk. I share because it’s a passion of mine and I want other people to skip the mistakes I made. I get very little if any ROI. I want speakers to get something out of the event. They should get recognition for their expertise. Ex. if someone gives a great SEO talk (and I’ve implemented and learned from them) and I need the advice of an SEO expert a year later I’d like to reach out to them. Logos & branding help that. I don’t think a company branded deck is too much. I don’t turn off the TV because I see a tiny “ABC” in the corner. I’d love to see this rule turned into a suggestion to prevent advertisements. I’ve seen the occasional advertisement at other camps but haven’t seen that at my camp so it seem onerous to add another rule. the rules are about company logos and branding. And they don’t ban them completely. By removing company logos, the speakers is more recognized, not the companies they work for. If you want to get in contact with a speaker, the slides at the beginning or end would be most useful, as you usually find references to website or social media profiles there. It’s not worth the time investment to modify the decks that I’ve already been using to adhere to these rules when the same presentations are being offered outside the WordCamp community and this rule doesn’t apply in those places. I’ve always tried to be very tasteful about how my company’s logo is included in my slide decks, and according to feedback, attendees receive value from the content I contribute. Not once have I heard anybody say that the logo distracted from the talk or that they felt I was heavy handed in my representation of either my company or my previous employers. Many of the companies I have worked for have had required slide templates for public speaking that include both a logo, a branding-aligned template, and a copyright notification on every slide. This was not an optional thing, and I would not have been approved to speak at events while I had those jobs if I couldn’t use the required template. I think I may just go without slides from now on – saves a whole bunch of hassle. the videos I can find of you on WordPress.tv, none of them seems to have logos on all slides. So that seems all fine. And do I see it correct, that your employers would not allow you to speak at a WordCamp, if you don’t represent them? I have never spoken at a WordCamp representing my current employer, I was always their as a private speaker. And I think removing a company logo should not really be a huge time inverstment, compared to preparing the talks/slides.